Northumberland County—east of Toronto in Southern Ontario—isn’t a place where you’d expect to find a $100,000 startup competition that attracts some of the top new tech companies in the province. It’s a largely rural area with no university campus and its largest population centre has fewer than 20,000 residents. But the N100 competition is now in its fifth year and Northumberland is also introducing an angel coinvestment fund and the Town of Cobourg is converting one of its unused buildings into a new innovation centre, Venture 13. 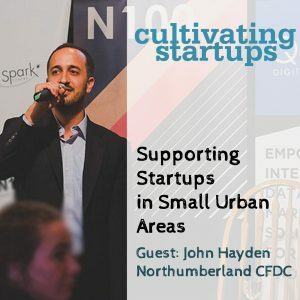 We talk to John Hayden of the Northumberland CFDC, who manages the N100 competition and other enterprise programs.